There is growing evidence that the employment, human and social effects of the financial crisis will be felt well after an economic recovery has taken place, especially if no corrective action is taken. This volume will be of benefit to policymakers, scholars and practitioners alike. This book was published as a special issue of the Journal of Human Development and Capabilities. 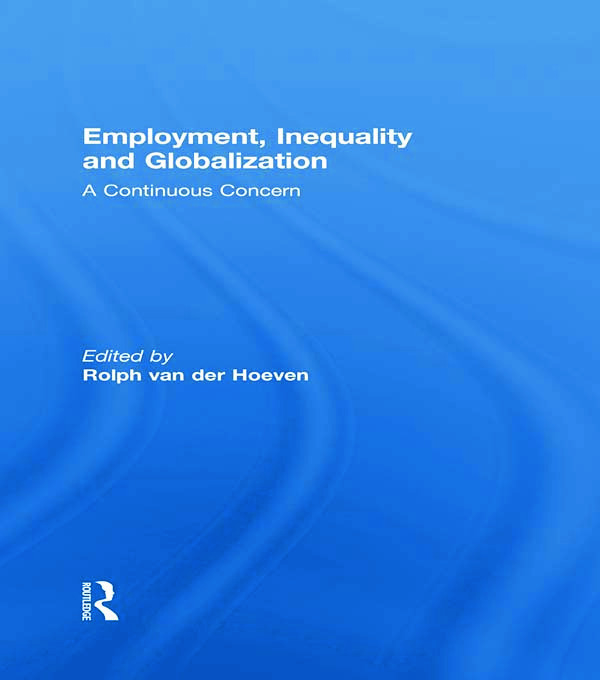 Rolph van der Hoeven, PhD, Free University of Amsterdam is Professor of Employment and Development Economics at the Institute of Social Studies (ISS) in The Hague and member of the Committee on Development Cooperation of the Dutch Government. Earlier he was Director of ILO’s Policy Coherence Group, Manager of the Technical Secretariat of the World Commission on the Social Dimension of Globalization, Chief Economist of UNICEF and policy analyst for the ILO in Ethiopia and Zambia. His work concentrates on issues of employment, inequality and economic reform on which he is widely published.